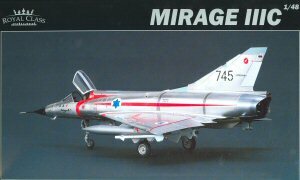 Here is the ultimate 1/48 Mirage IIIC kit. This is the first 'Royal Class' release in Eduard's product line, but if you've been watching their website, this won't be the last! 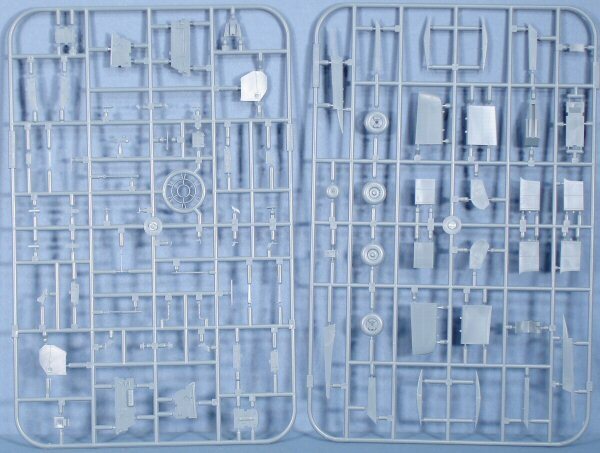 The Royal Class kits are a set above the Profipacks, which in themselves are excellent buys. 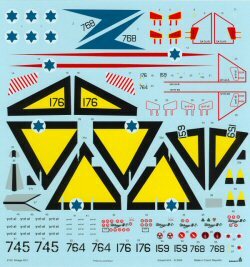 In a basic Eduard kit release, you'll find the styrene kit, decals, and perhaps a small fret of photo-etch and/or a canopy/wheel mask. 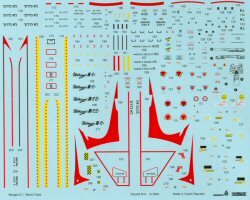 These basic kits are targeted for the budget-minded and those modelers not comfortable working with lots of photo-etch parts. 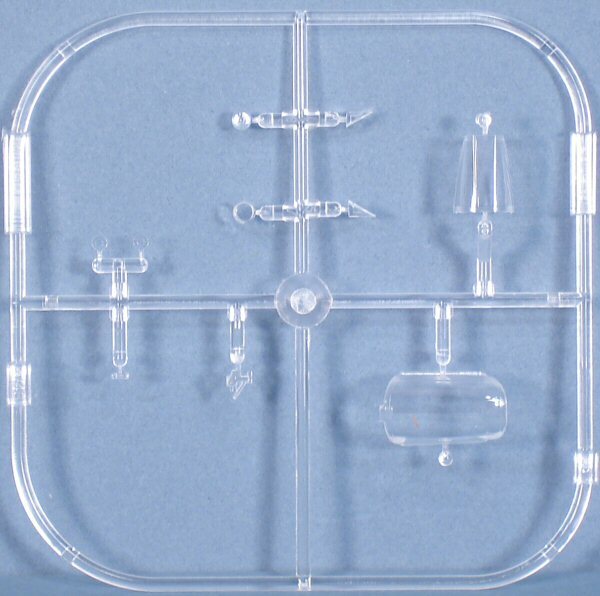 Profipack kits have additional photo-etch and (in some cases) resin detail parts. 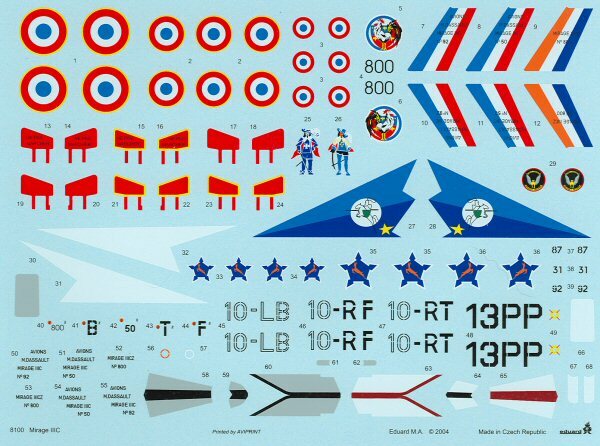 These kits also have different decals than the basic kits. 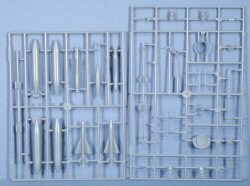 Those that purchase the basic kits can update them by purchasing the photo-etch parts included in the Profipacks separately. 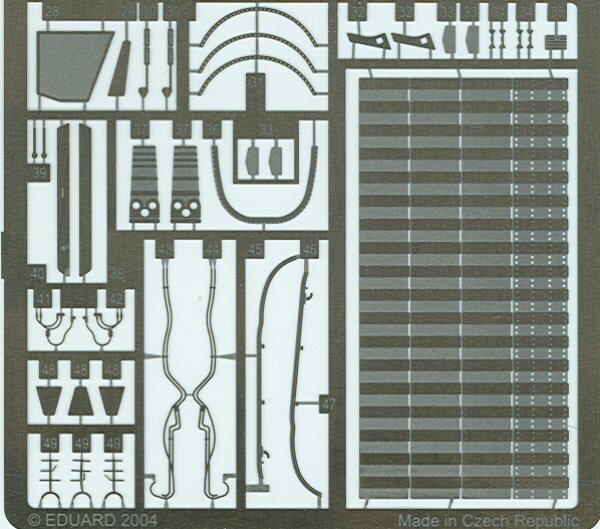 The Eduard release catalogs clearly show which photo-etch sets are intended for their own kits. 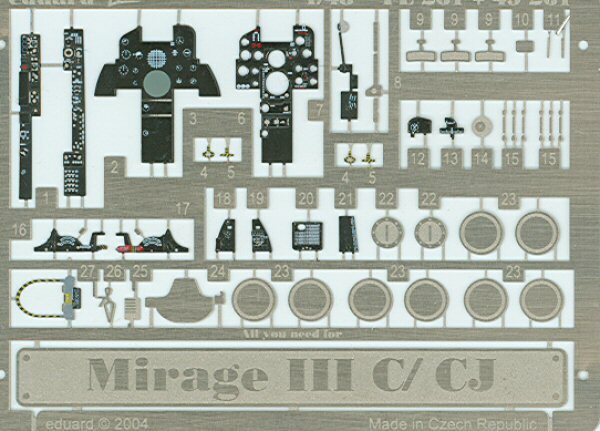 This Royal Class kit has the name basic kit as the basic Mirage IIIC and Mirage IIIC Profipacks, but also includes an additional fret of photo-etch for the afterburner chamber and additional decal options. 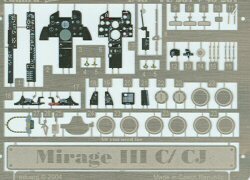 These Eduard Mirage kits are all-new tooling that could easily be the nicest Mirage kit available in any scale. 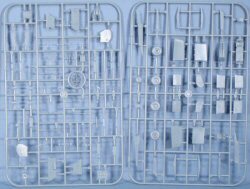 The kit is molded light gray styrene and presented on eight parts trees, plus a single tree of clear parts. 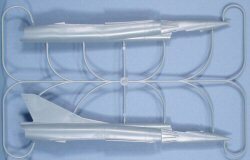 A small fret of color photo-etch parts are also included containing the handles, belts and harnesses for the ejection seat. 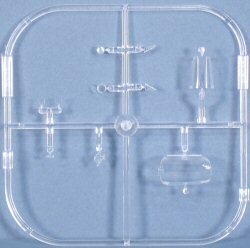 A small zip-lock bag is included with a new resin ejection seat. As usual for an aircraft kit, construction begins in the cockpit. First up is the nicely detailed resin ejection seat (thanks to the photo-etch) which drops into the cockpit tub. The photo-etch parts also provide the instrument panel (with acetate instrument faces) and side consoles. 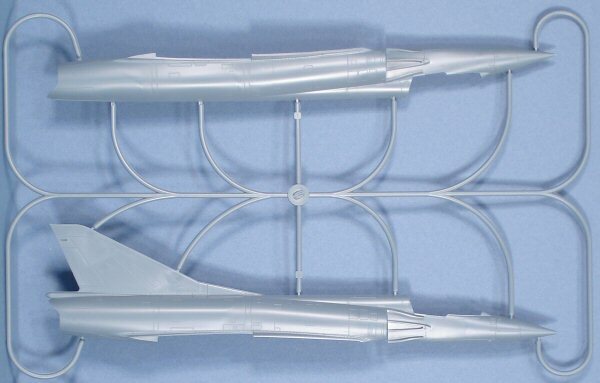 The flight control surfaces are separately molded. You need to make some choices at this point as to control surface positioning as well as how you'll arm your aircraft. 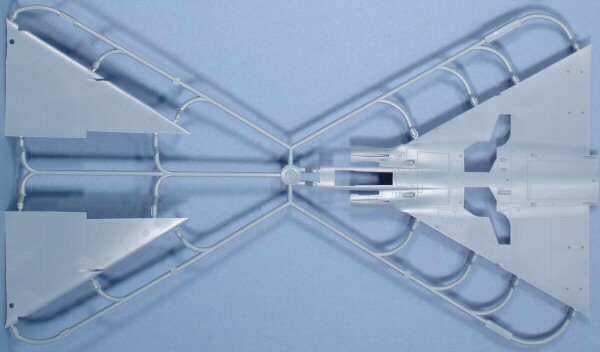 Your options include either 500 liter or 625 liter external fuel tanks, Matra 530C/K, Matra 530E/M, AIM-9D, Matra ATM-9D, and/or JL 100R rocket pods. 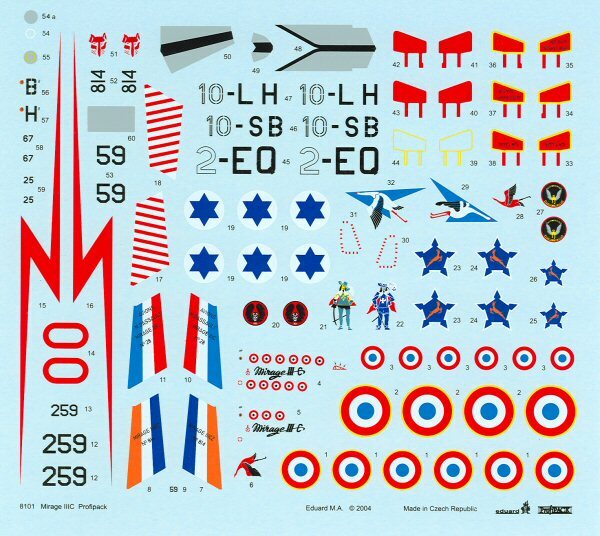 Eduard also released a detail set for the weapons in this kit, but for some reason didn't include the set in this kit. 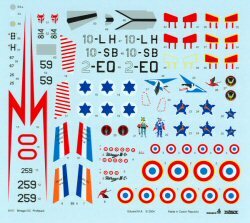 Four decal sheets are included in the kit, three with the distinctive aircraft markings, the other with a complete set of maintenance stencils. 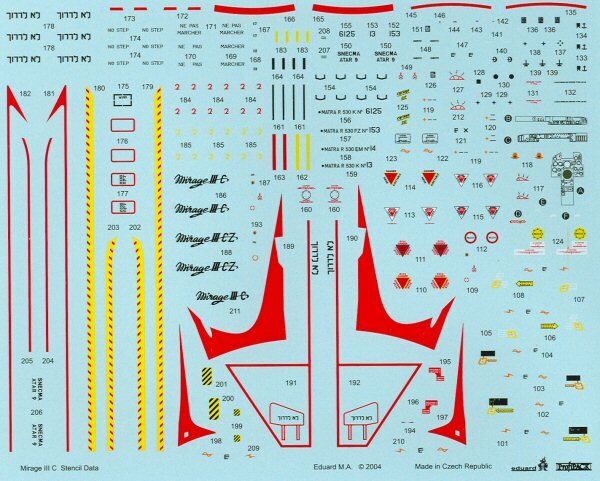 What you're getting here are the decals offered in kits 8100, 8101 and 8102. 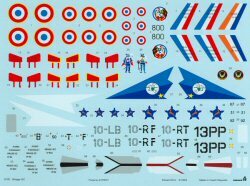 This Royal Class kit also includes 'Lock-On' - an aerial combat simulation from UbiSoft (PC version only) and a frameable print of a pair of French Air Force Mirage IIICs in flight. 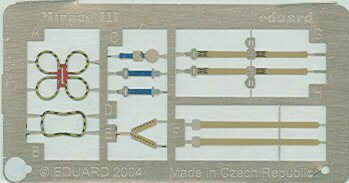 These Royal Class kits are supposed to be limited editions with only 1,000 examples released. 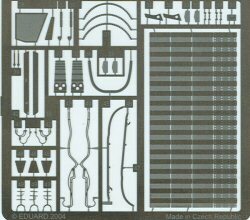 I am a little disappointed that this kit didn't include the photo-etch detail set for the weapons also released for this kit (sold separately). Is a Royal Class kit worth the additional cost? 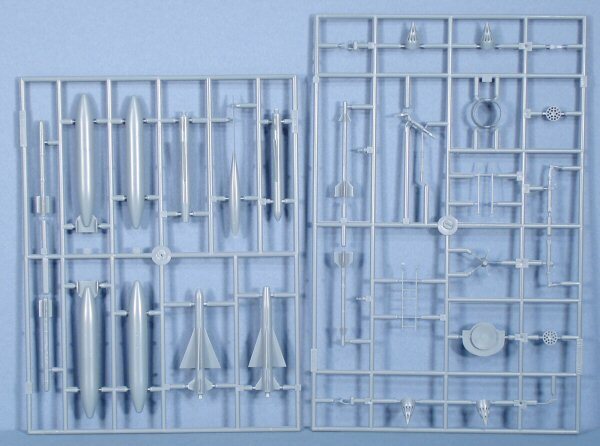 If you're an AMS modeler that usually acquires lots of aftermarket stuff for your projects, you get just about everything you'd ever need for this kit all in the box. The PC game is perhaps a bonus.